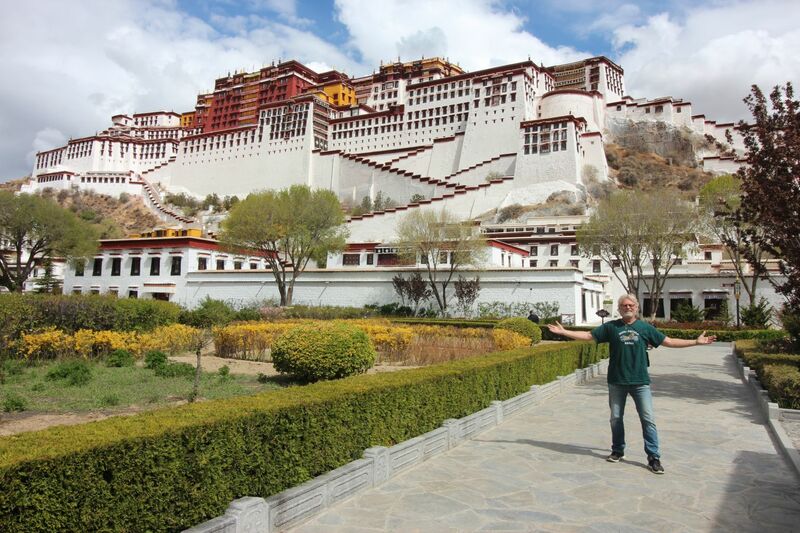 I stopped counting the Chinese checkpoints through Tibet after 18. Getting patted down to enter the larger monasteries or public bazaars all became routine. 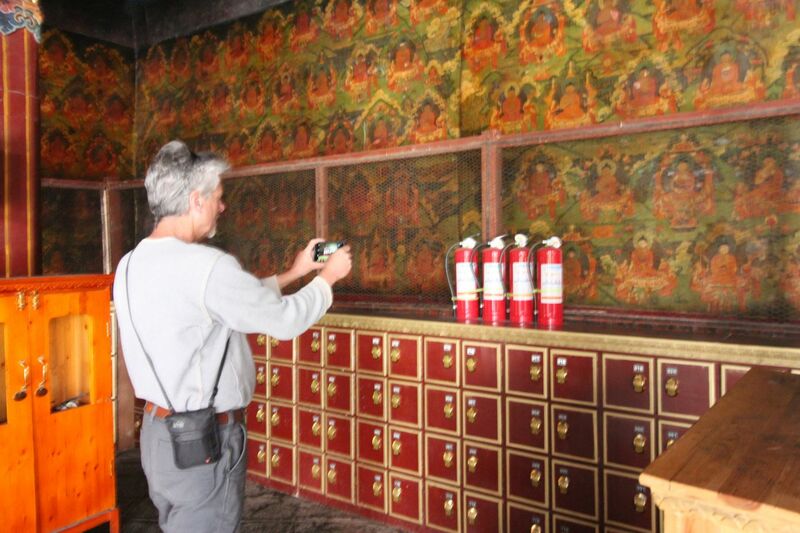 Remember, no gasoline is sold to foreigners without a permit and the buckets of confiscated lighters and police-wielding fire extinguishers insure there will be no self-immolating monks! Remember people, China is a Communist country, they make the rules as they see fit and Chinese manufacturing rules almost everything you purchase here in “Make America Great Again” so get used to it. 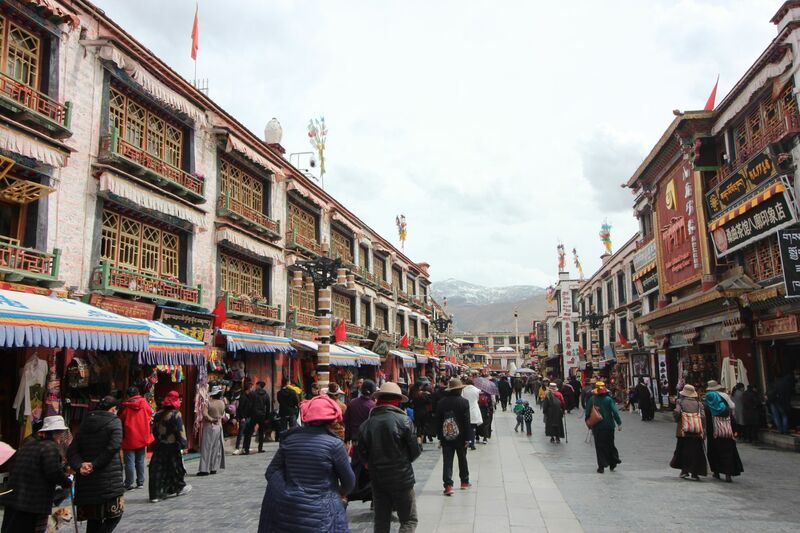 Jokhang Temple, the most sacred and important temple in Tibet is located in Barkhor Square in Lhasa. The Chinese Army marches around the square threateningly while the local police force dress in full riot gear. It’s a Police State. 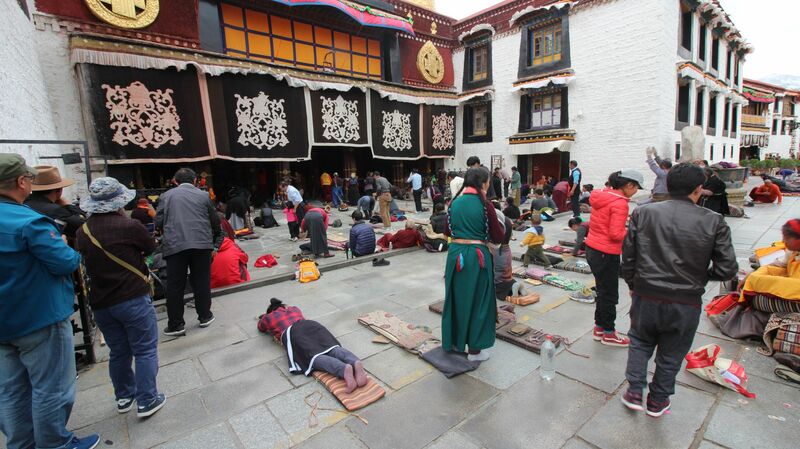 The interesting history of the Jokhang Temple is they accept worshipers from all sects of Buddhism. The temple’s architectural style is a mixture of Indian Vihara design, Tibetan and Nepalese design.